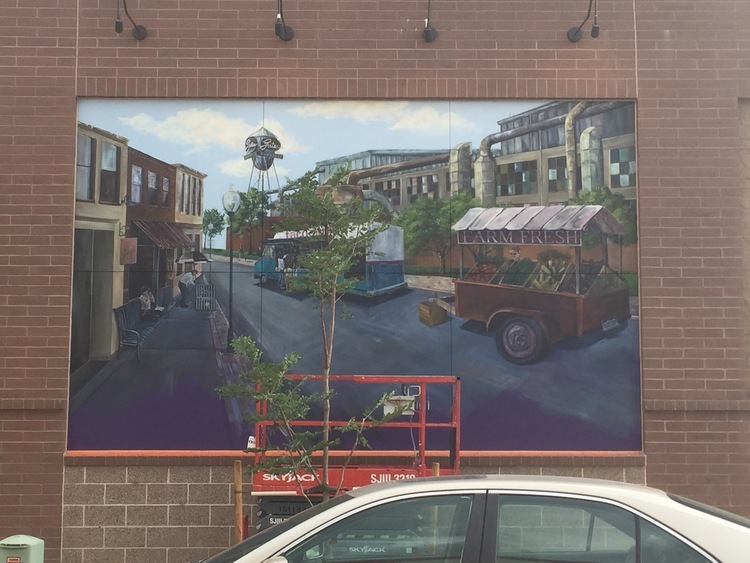 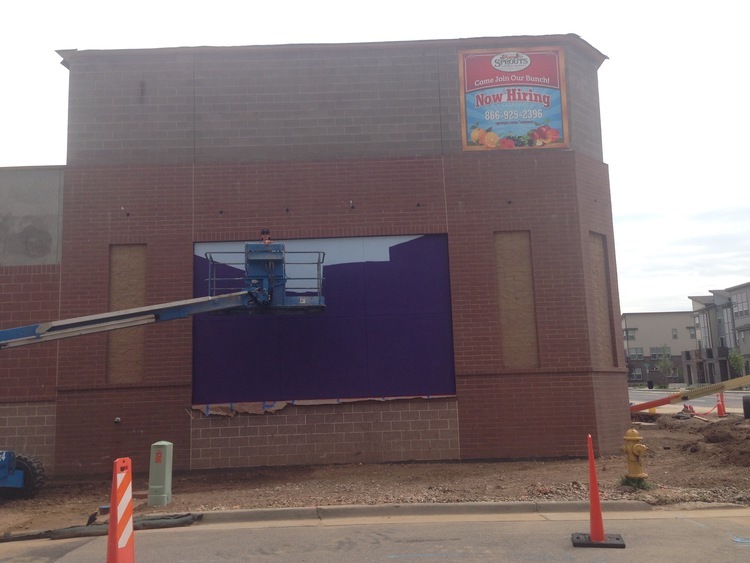 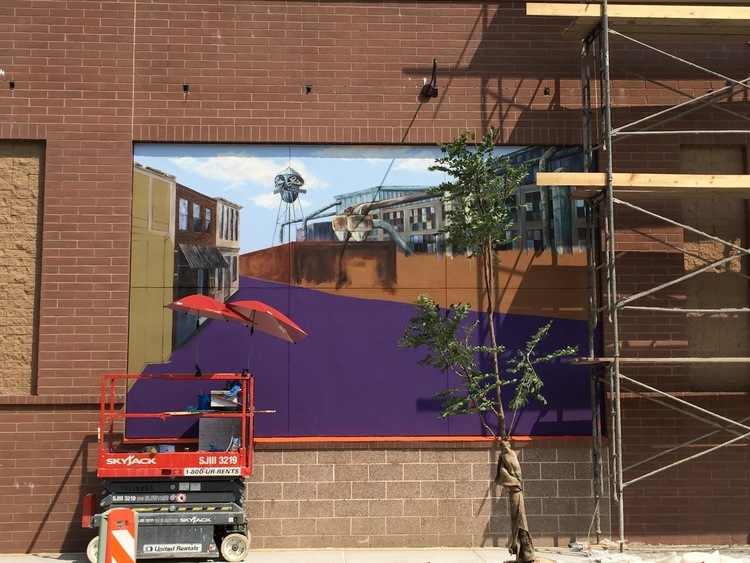 This mural, 18′ wide and 12′ tall, was commissioned by the developers of the Sprouts Farmers Market at 197 E. Mississippi Ave in Denver (Broadway and Mississippi). 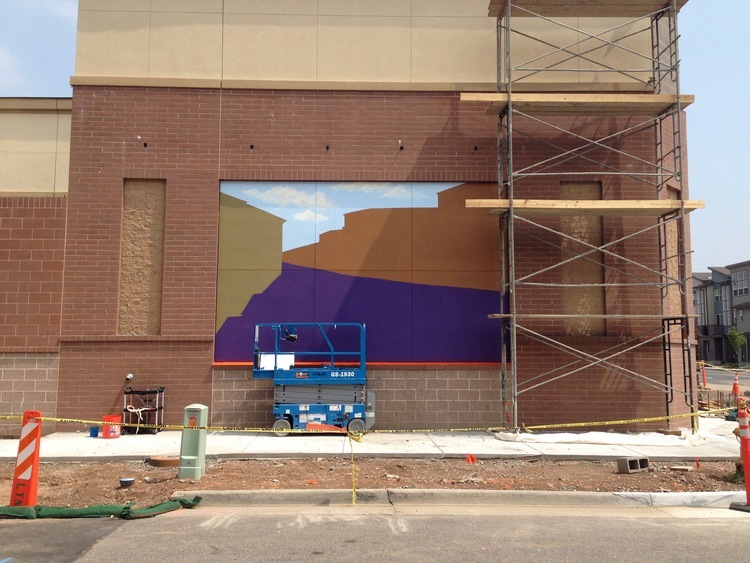 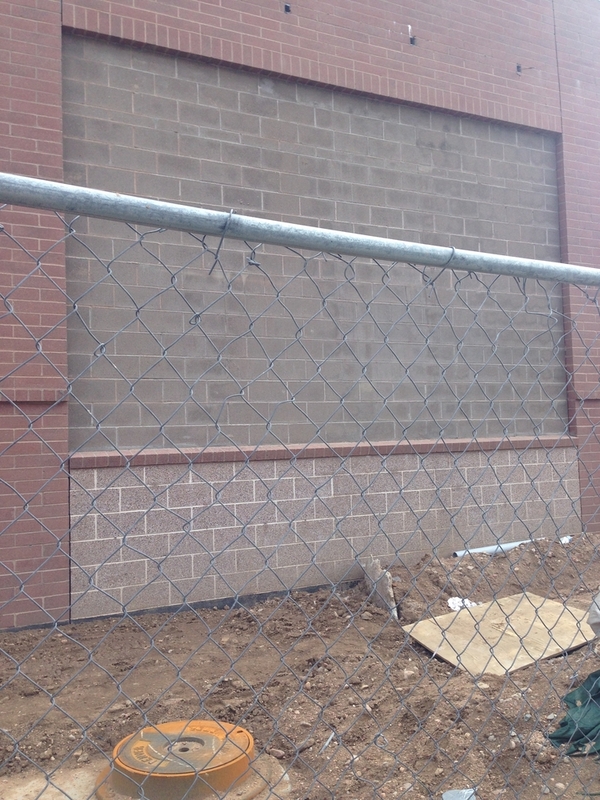 The Sprouts building was required to have three “window-like” murals for a less imposing pedestrian experience. 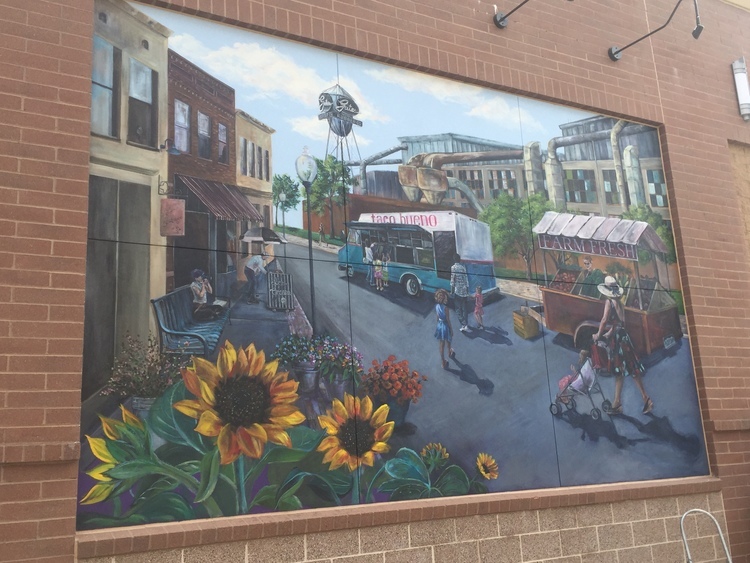 This mural is located on the West side of the building. 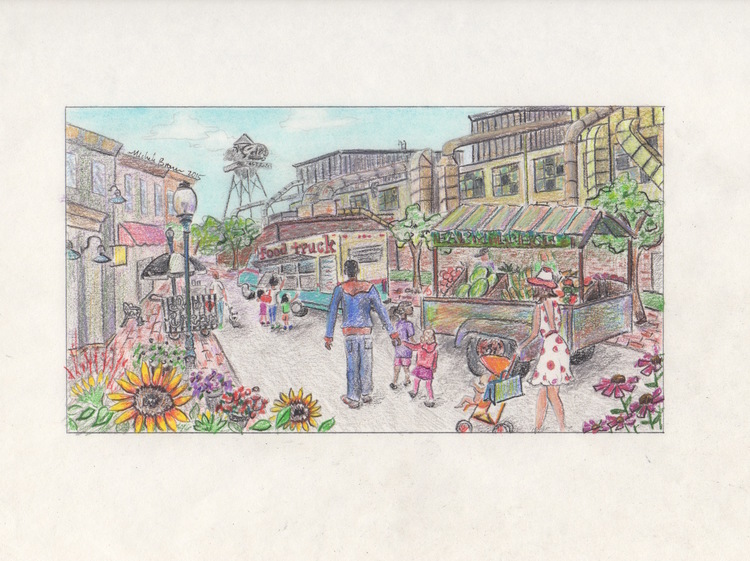 In creating these preliminary drawings and color sketches, I aimed to give several different options for the mural. 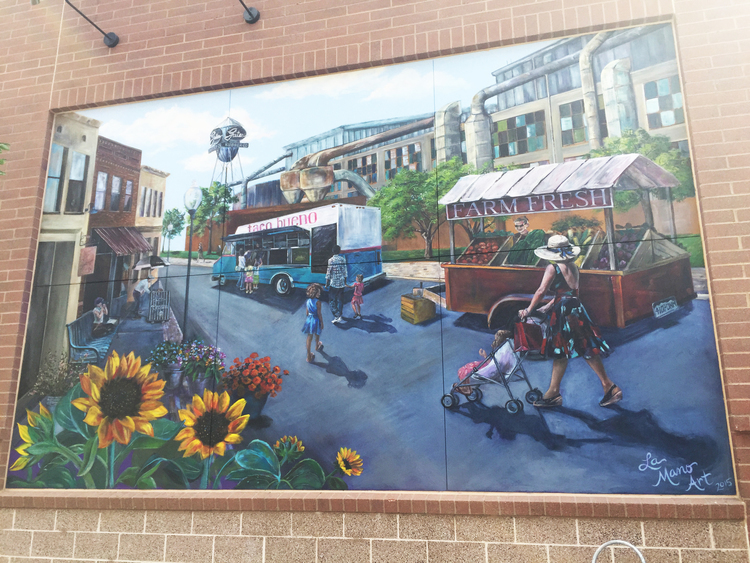 All of them bring some of the history of this area into the art as well as the farm fresh and local values of Sprouts. 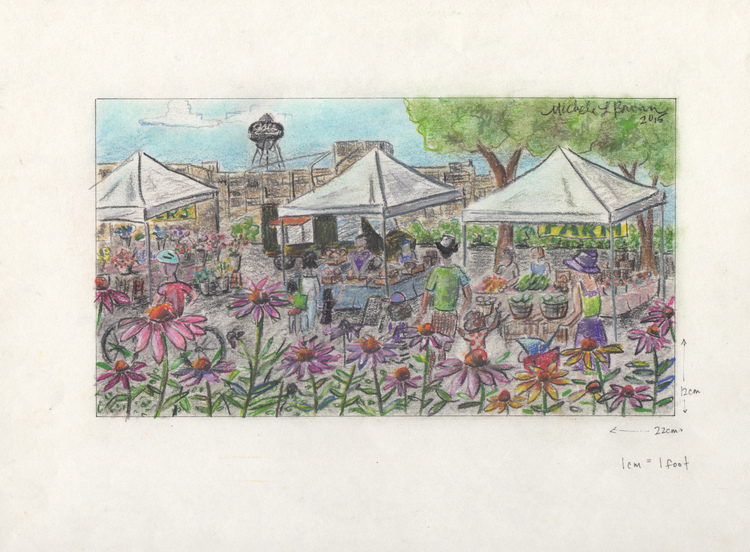 You can see in the background of several sketches that I included a rendering of the old Gates Rubber factory including the water tower which used to reside right across from the new Sprouts. 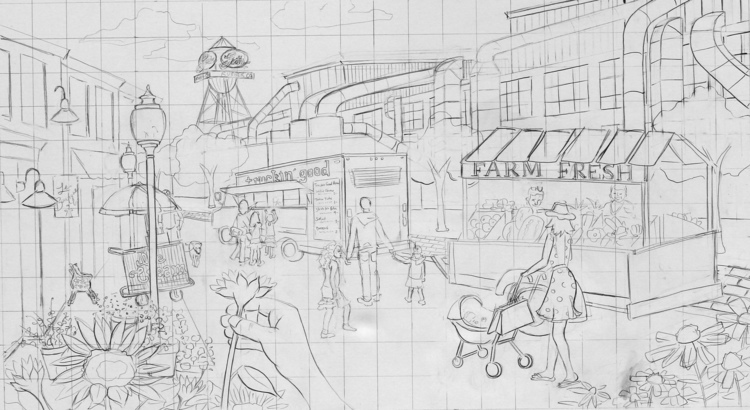 In another sketch I included the unique Denver skyline to keep the urban and neighborhood feel. 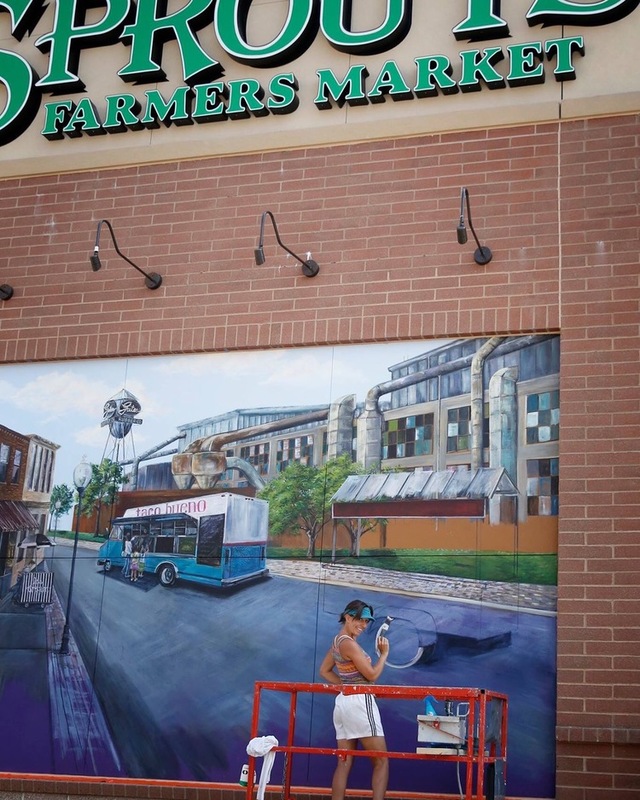 The final mural design that was chosen includes the silhouettes of my husband and two children walking to the farmers market. 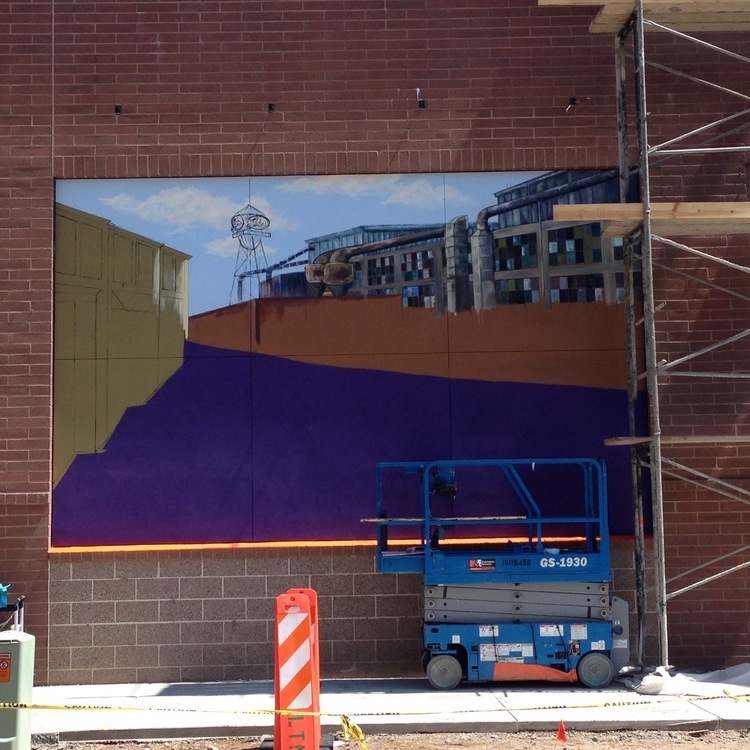 It’s a personal touch to the mural that I don’t often get to add.